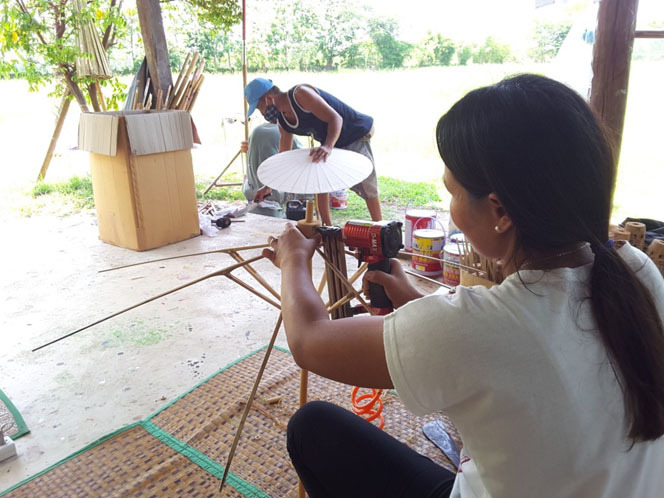 The basic bamboo frame (for 20 frames) takes about 2 days just to cut and carve the bamboo by hand and then one full day to assemble the wooden top and runner. These are made by the artisans brothers Naan Pon and team. These men are all in their 60s. 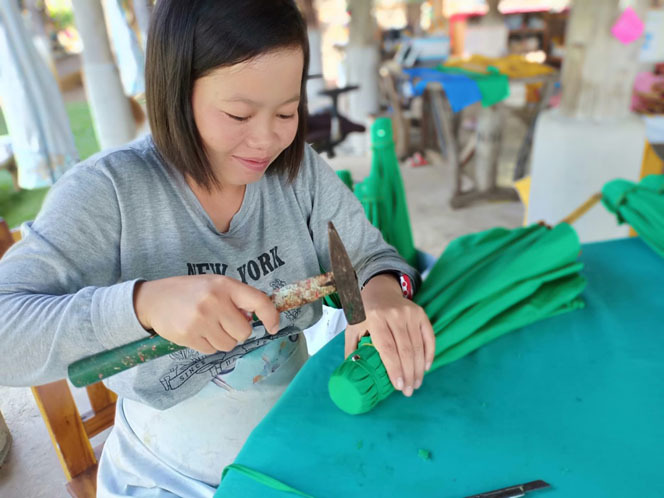 They were born into an umbrella frame-making family and learned the skill from their parents. 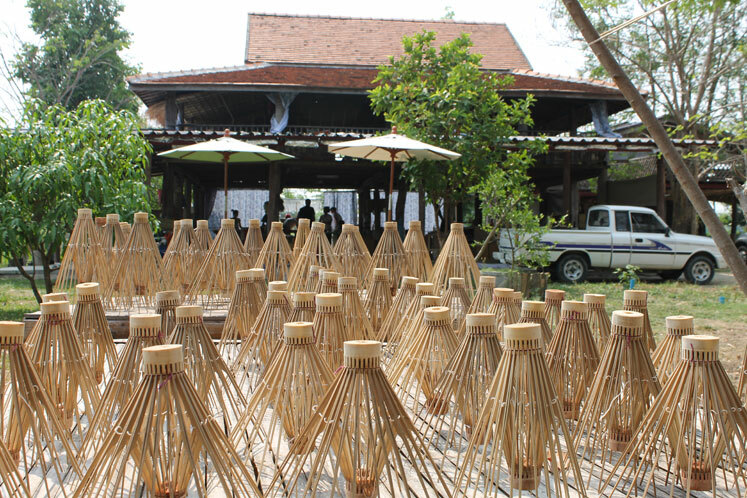 The bamboo pole -about 40 poles are made per day. The artisans have to make them straight by grilling them on the fire, one by one. Then they clean the dirt along the pole. 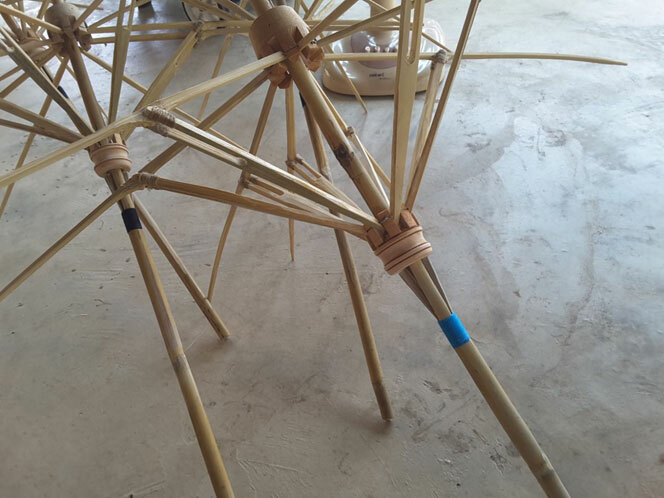 Next step – add the wooden pieces as stoppers which allow us to close the umbrella. These are made by the artisans family of Auntie Noi. Her son is the one who delivers the poles at our workshop and he usually gets a tip to make him smile. 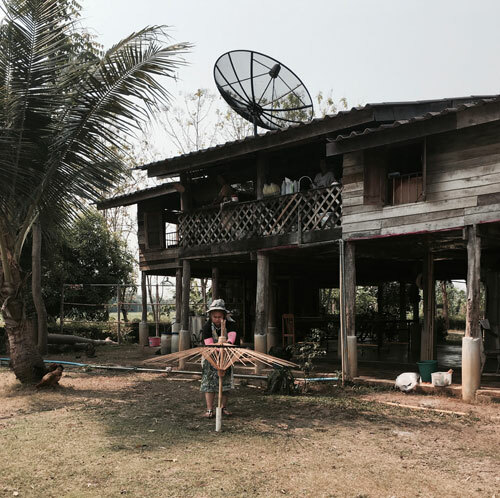 Noi is about 65 years old, and she cuts the poles and adds the wooden piece. 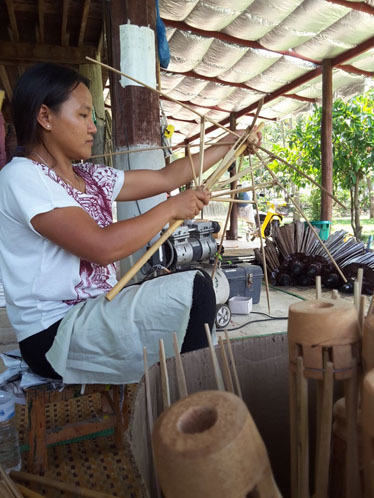 Her husband grills the poles and sometime goes into the forest to cut more bamboo poles. 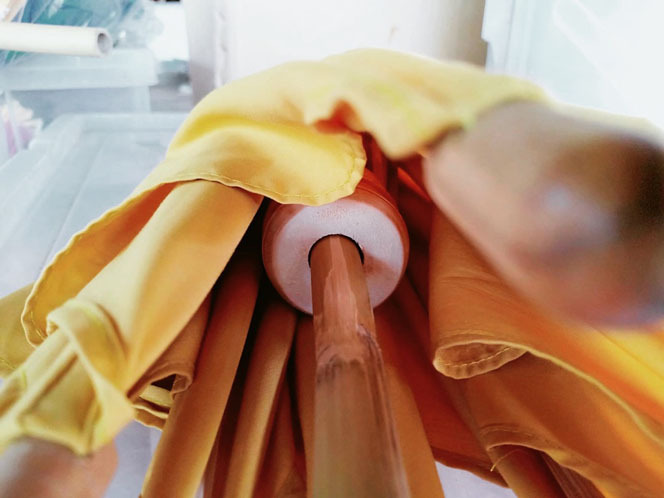 Umbrella tips and pole head – are made from wooden beads . 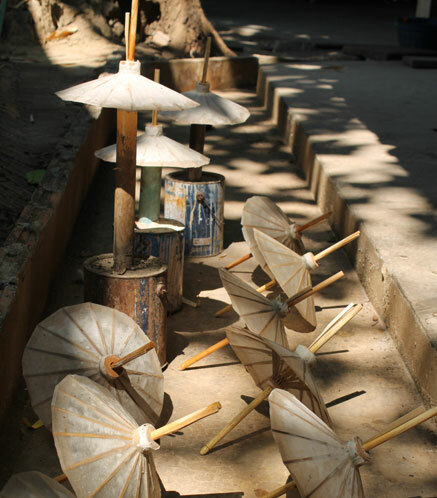 About 100 pieces are made per day which is for 12 umbrellas (8 pcs per umbrella). Artisans Uncle Kom and family who also carve mango wood vases make these small beads at a special price. He is very patient and has worked hard to get the right size for the Supabrella. 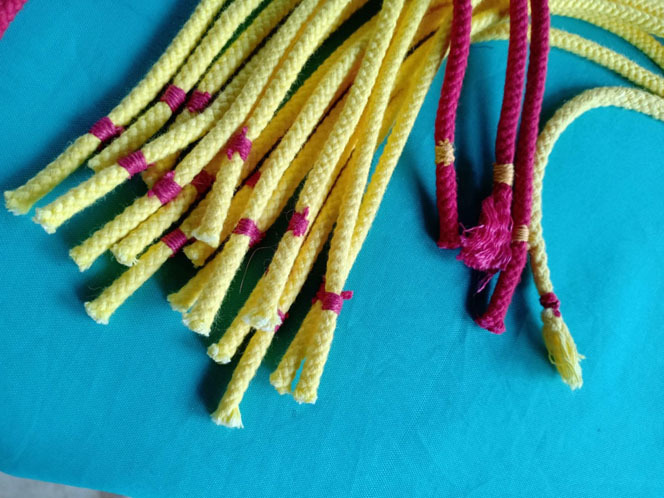 Handle, runner and inside top – about 300 pieces are made per type per day. 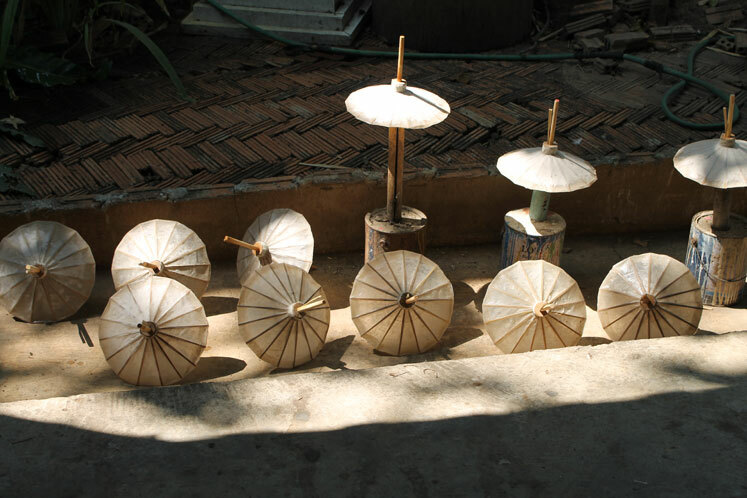 These are bought from a neighbour who specialise in carving soft wood, he has the Royal Myanmar workers create these. The hemp wrap to keep the nails in – This was Dow’s idea. She can make about 8 frames per day (1 hour per frame). This fiddly and delicate work takes a calm and clever person to do. 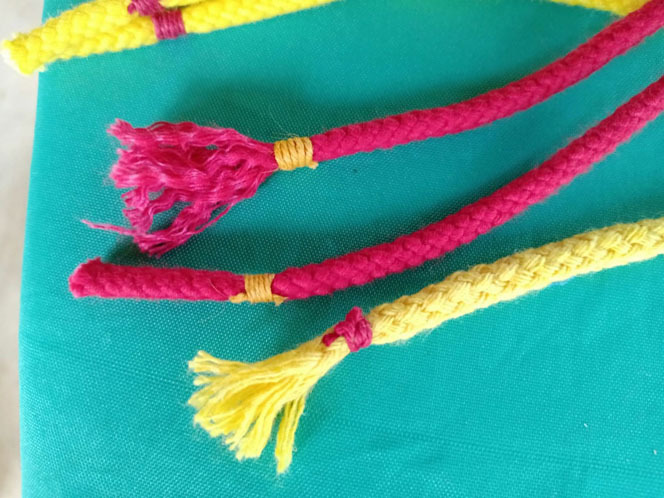 Dow makes these from home, as she is a single mother and lives at the Wildflower Home with 10 other single mothers and children, a ten minute drive from the workshop. 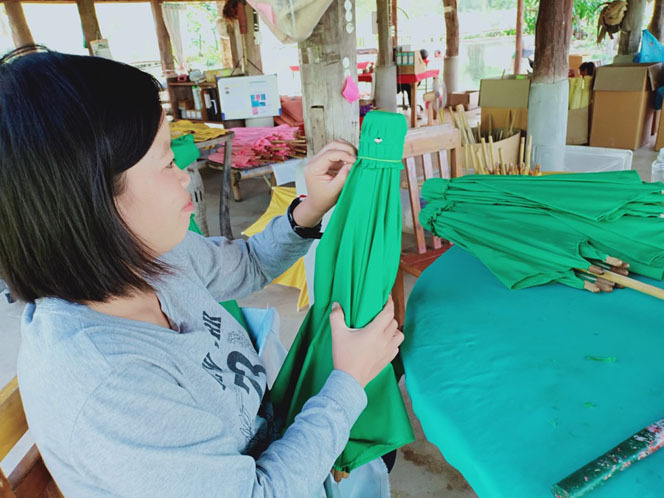 Ms. Nok, then runs quality control over the frames, making sure that there is no bamboo hair or dust and that the frames are safe, clean and strong. Ms In then uses her clever fingers to wrap the strong around the poles. This requires a delicate and steady hand. 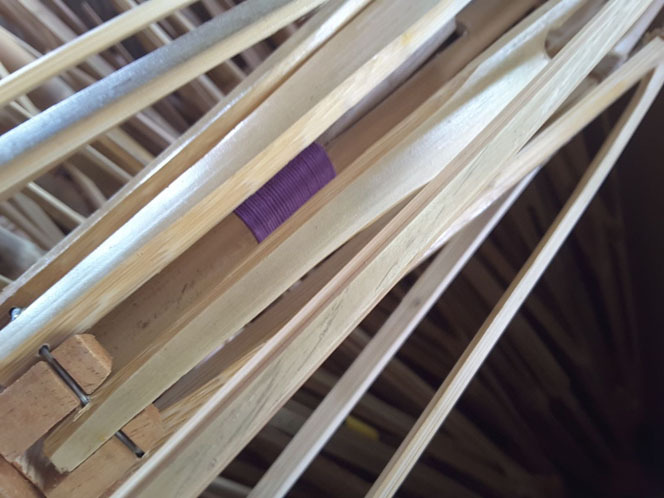 And then Uncle Wing, the only man in the workshop (who is from Myanmar) assembles the pole to the canopy and adds the handle and the top. 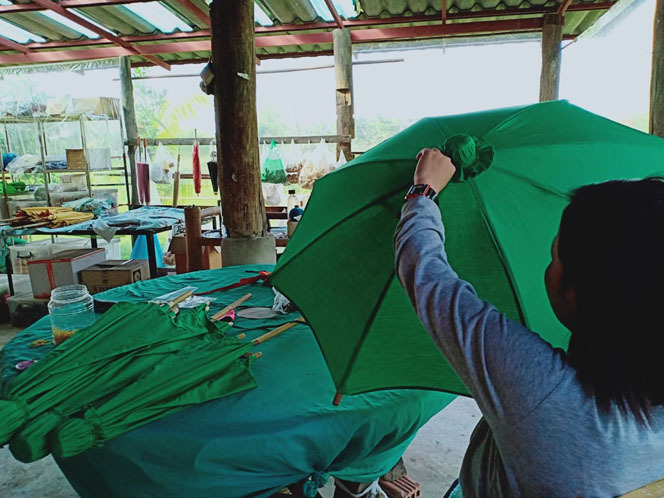 Canopy – The cotton fabric comes from a Bangkok factory and is then treated in order to water proof it. 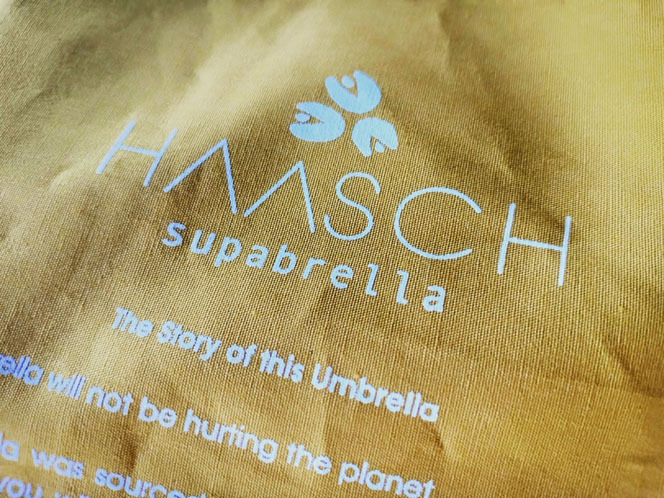 Mis Pia and Supaporn organise the packing and sending of the lovely Supabrella so that you can enjoy it come rain or shine.